Home / Giveaways / Febreze Roadtrip to Freshness Gift Card Giveaway! 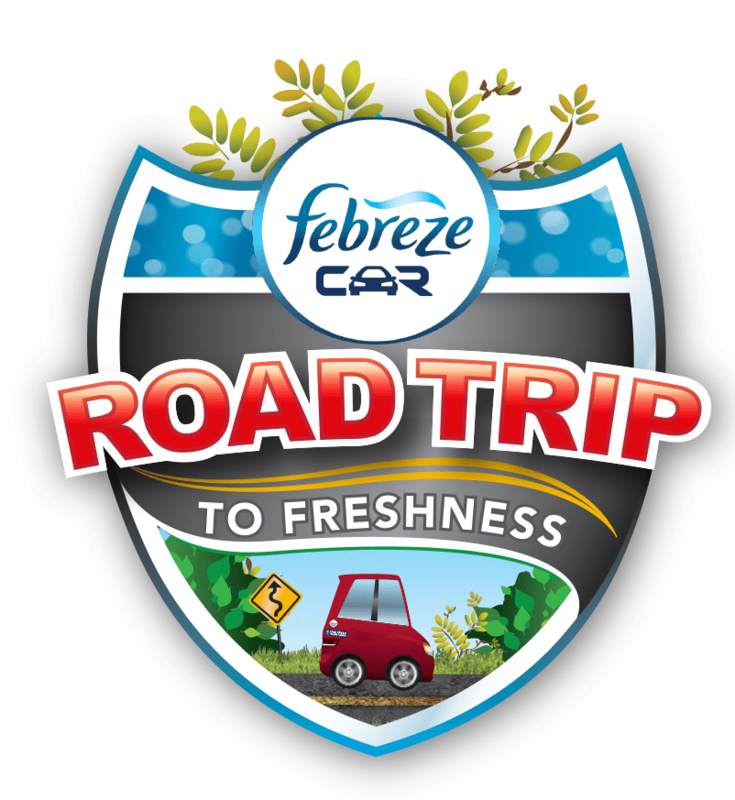 Febreze Roadtrip to Freshness Gift Card Giveaway! If you have kids that ride in your car you probably have odors in your car that are hard to deal with. I know we do. It seems like for some reason things get left in the car for a day or two and then you pretty much smell it before you even can find it. I have hunted down milk cartons, you know the little ones kids drink from, a sandwich once, and of course there is always that diaper you changed in the parking lot and were going to find a trash can for. UGH! I would rather not talk about it, and I would really rather not smell it either! Febreze has my wonderful answer! They make the coolest little clip that attach to your vents that send a beautiful scent throughout your whole car and takes care of these odors. One of the best parts is that I no longer have those little cans of stuff around my car for little hands to grab and possible get into their mouths. The Febreze Car Vent Clip is one of the best products I have used for air freshener in my car, I don’t even let the car wash guys spray freshener in there anymore as my Febreze Clip works longer and so much better. They have 7 delicious scents that are perfect for any situation. You open the package, activate the scent, clip it on your vent and then decide what level of freshness you need. Walmart carries all 7 of the scents and you can pick one up when you are there doing your regular shopping. We picked a new one up on our way out-of-town, if we were going to be in the car for 5 hours, we wanted it to smell good. I personally got to put my Febreze vent clip to the test when my husband hit a skunk in my car, the smell of hitting a skunk is well, horrific! The smell lingers in your vents for a long time and it took me awhile to find a solution, I had tried every kind of freshener for my car and nothing even came close to even masking the scent. The Vent Clip worked and kept working for almost 2 months. What kind of odors do you have in your car? Last night’s carry out, this morning’s gym clothes or last weekend’s trip to the dog park? How about that one bag of groceries your husband forgot to get out of the car last time you went shopping? I really hate when that happens. 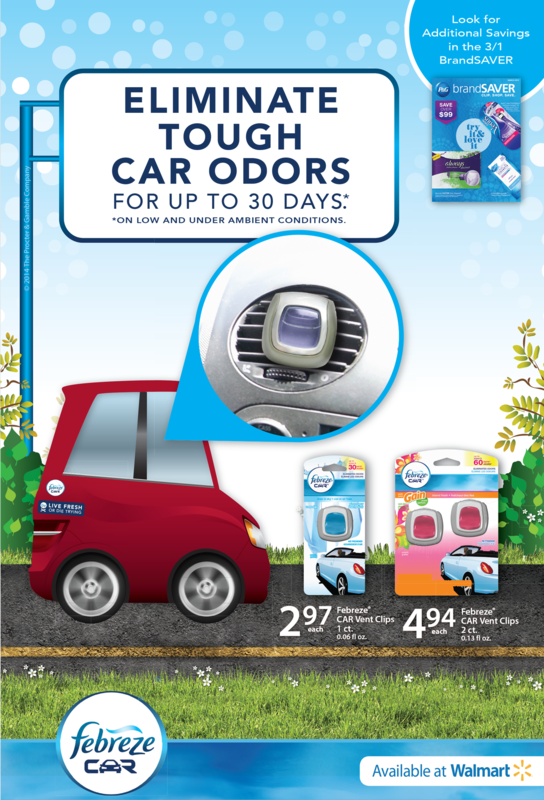 Febreze and Walmart are giving away a $25.00 Gift Card to one lucky reader, so they can buy their vent clips and get on the Road Trip to Freshness! Just enter below and good luck to everyone! Disclosure: The above item was received in order to facilitate review. The Tales From A Southern Mom blog will always provide honest opinions, beliefs or experiences on products reviewed. We will only recommend products or services that we feel are of benefit to our readers. Tales From A Southern Mom is not responsible for prize fulfillment; sponsor will be responsible for prize fulfillment. This event is in no way associated with, sponsored, administered, or endorsed by Twitter, Google, Pinterest or any other social media network. If you have any questions, please contact me julie.talesfromasouthernmom@gmail.com. The disclosure is done in accordance with the Federal Trade Commission 10 CFR, Part 255 Guides Concerning the use of Endorsements and Testimonials in Advertising. The kids leave food and food wrappers in the car. My husband stinks up our car! He has a stinky, smelly job! My husbands work boots stink up the car. I have 5 grandsons and a granddaughter that are in my car at least 3 times a week. Those little characters leave their dirty clothes, socks, and shoes in my car. Also I always find french fries or other food items in the floorboard or under the seat. When the grandkids are not with me, I have two smelly dogs that stink up my car. It seems like I am fighting a losing battle when it comes to keeping my car smelling nice.